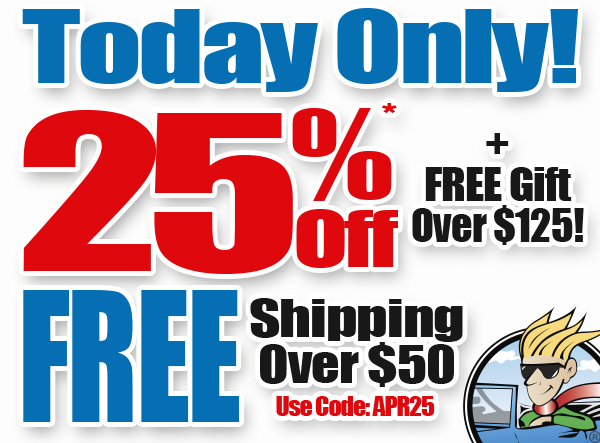 *25% Off Coupon Code APR25 valid on in stock items. Not applicable on previously placed orders, custom or special order items, extractors, air compressors, BUY ONE GET ONE, VIP Special, car covers, polishers & polisher kits, vacuums, Kreepstool, FlatStoppers, Shop Air Heavy Duty Drum Fans, vapor steamers, garage flooring, gift certificates, bulk and case pricing, complete wash systems or any item as noted on product page. One coupon code per order. *Orders must be at least $125 to qualify for the free gift. Orders that do not qualify will have the free gift removed. The free gift is valid only on orders that are shipped from our warehouse. Orders with drop shipped items will not have the free gift included. FREE Set of Microfibers with Every Order Over $125! Need to stock up on your microfibers? Well, great news for you! For every order over $125, you can choose which microfiber set you need the most to add to your collection! Orders must be over $125 to qualify for the free gift. Free gift must be added to cart. Orders that do not qualify will have the free gift removed. The free gift is valid only on orders that are shipped from our warehouse. Orders with drop shipped items will not have the free gift included. FREE GIFT Friday Sale - For a Limited Time! Yup, just grabbed 'em with my order.